Saville explained that the image was the first time the frequency of a pulsar signal was demonstrated, beginning with a research group at Cambridge. “The diagram itself is a cutting of the continuous read out and then a stacking,” he said. “So what you’re seeing is this comparative chart of the frequency and the accuracy of the signal.” He went on to discuss how fascinated he was with fans adopting the diagram on apparel and tattoos for their own interpretation. In a new interview with Scientific American, he explained that he and a group of classmates worked together at Arecibo. He also recalled developing the program that graphed the illustration. The images the computer made were then traced with India ink to stand out more. For further reading, Scientific American delves deep into the science of pulsars and the means by which the image was made. 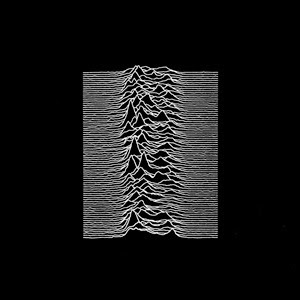 via Joy Division’s ‘Unknown Pleasures’ Cover: The Science Behind an Image | Rolling Stone.